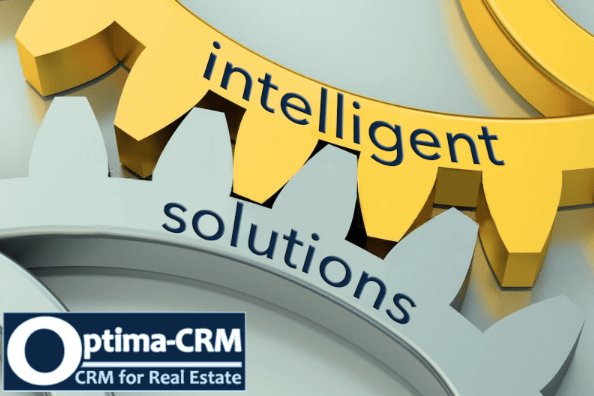 "Why is Optima-CRM the best real estate CRM?" 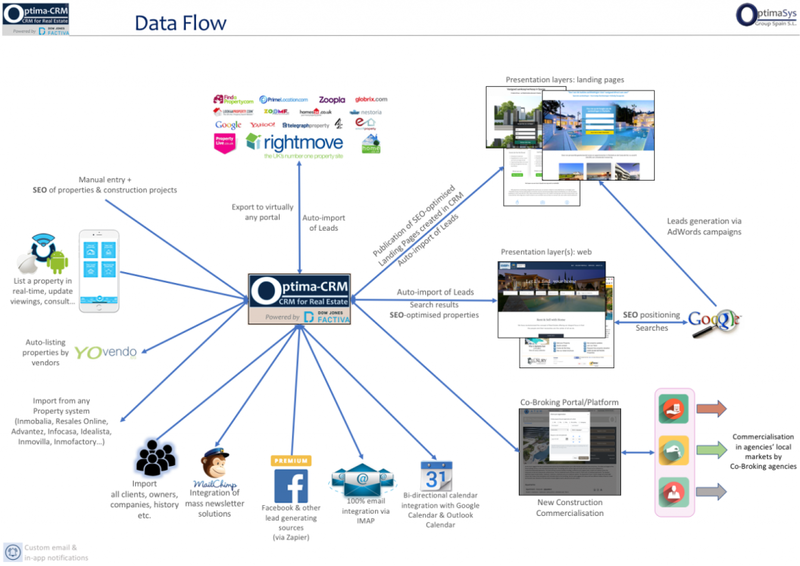 "What makes Optima-CRM stand out from the rest?" The answer is easy yet not a short one...as Optima-CRM is such a complete solution that we need to sum up some of the key characteristics and features here below. The challenge we give you is to find any solution that comes even close to the rich functions and practical solutions provided in our solution! 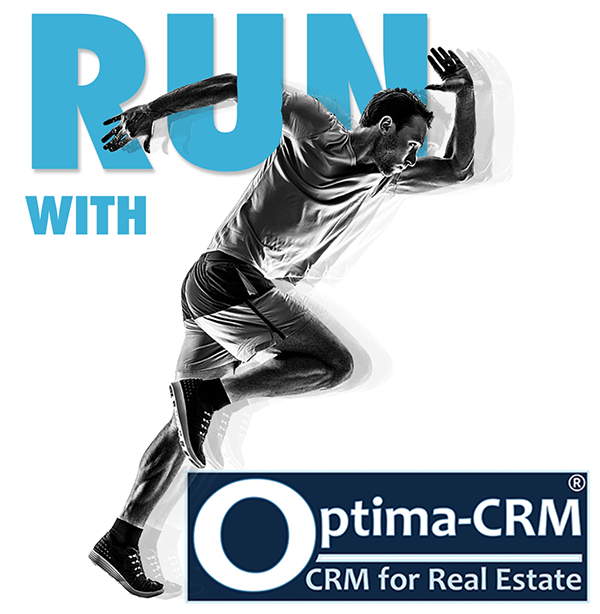 With Optima-CRM you can handle ANY type of Real Estate. Our solution gives you access to all of them yet you decide which you use and show to your users. Personalisation is key for any productive solution. 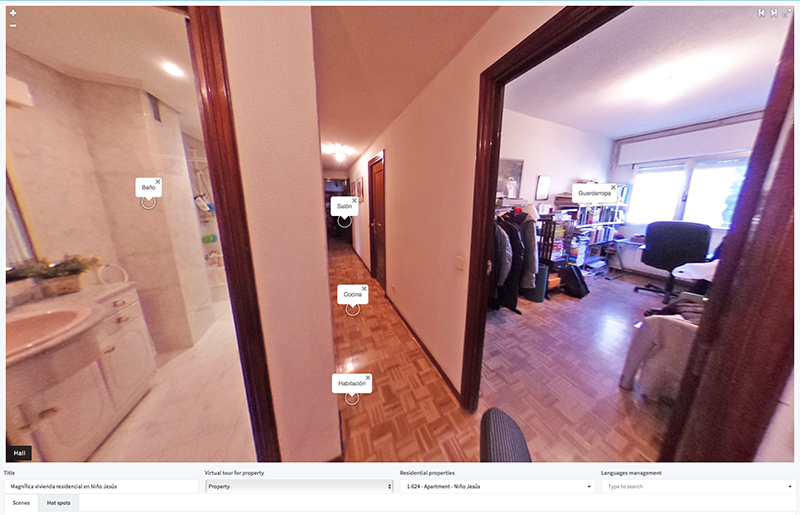 We'll show you how we deal with these Real Estate types during the all-free personalised demo. Get yours now! 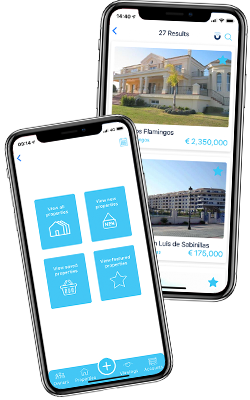 While most Real Estate Software systems only deal with the 'simpler' transaction types that sales and long term rentals are, Optima-CRM includes a full Holiday Rentals solution with sophisticated bookings module and all you need for maintenance and cleanings to be handled. Whichever types your company handles, rest assured that Optima-CRM does it the best way possible! Manage your own inventory of listing as well as those of other agencies which you can freely import using standard XML imports. 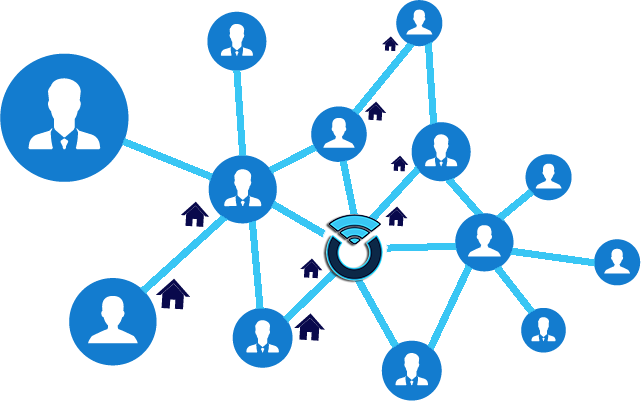 Exporting properties automatically to portals is what more systems do, however it's not only to which portals a system exports, it's far more about how it generates automatically leads coming from enquiries in these portals. Furthermore we have created an XML generator and can quickly connect to any new portal of your needs! Under clients we classify all kinds such as candidate-buyers & renters as well as potential or existing owners. Being in charge of every step of the process gives you full control and statistics about the performance of your team and individual agents. Automation of processes via event sequences accelerates your teams and ensures that all required activities are executed timely! 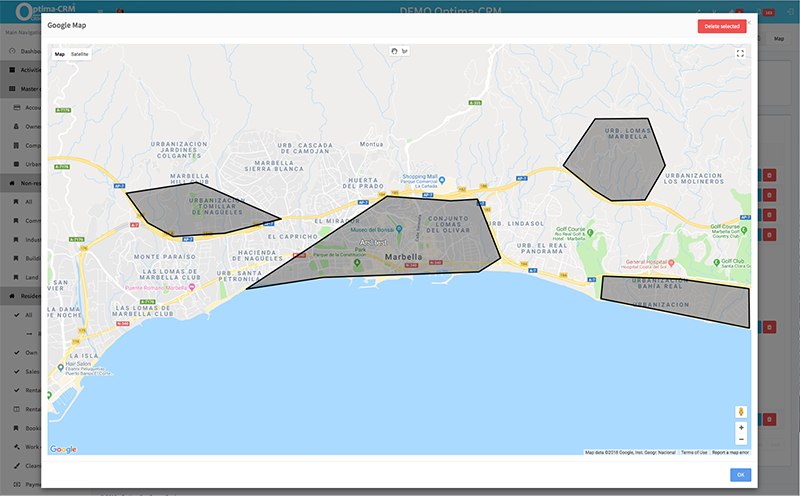 Optima-CRM gives urbanisations a new dimension as it allows you to organise your listing agents' work by assigning them via drawing on maps. Create as many urbanisations as you need, allocate properties to them and follow-up on all the viewings, offers and sales related to properties belonging to them. Your website is the first impression a future client gets from your company...make it count! You only get one chance to make a good first impression. We believe that every company is unique and that websites must express this unique character. Don't fall for the cheap templated websites as they also look like cheap and templated sites...hence it impacts your reputation even before you had contact with the visitor! 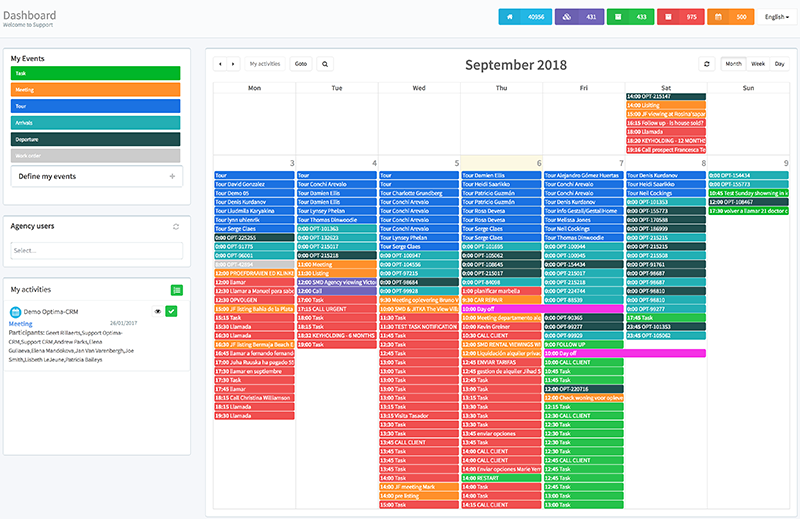 Making your day-to-day work a lot easier with the available professional templates in addition to the ones you can make yourself for your teams. 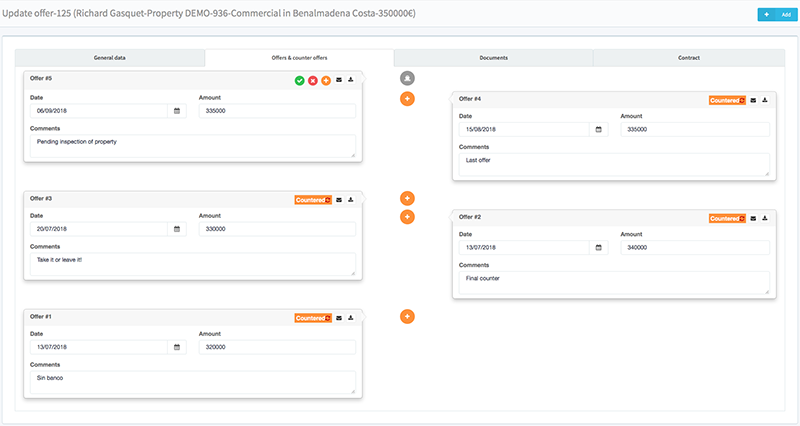 Templates can be made in any language and assigned to many different elements in CRM. Real-time statistics and operational reports enable you to know at any time where you are with your business. 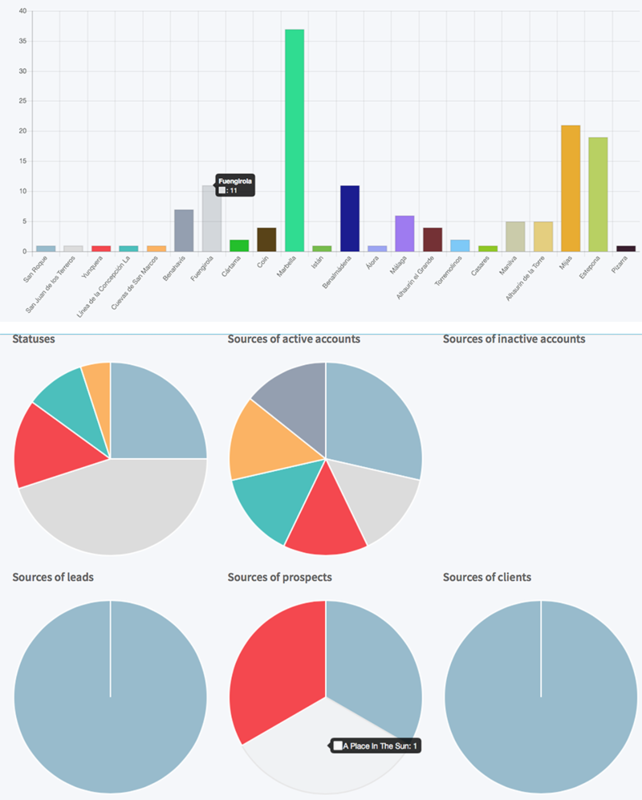 No extra charges exist for us to build you custom reports! Wherever we can automate tasks for you, we do. We herewith help you remember things, avoid many potential mistakes, and save you precious time to do the more important things! Let CRM do the heavy lifting for you! You and your business are unique...hence we created a solution that you can mold to who you are. Make CRM yours completely! Personalisation of many tables (e.g. 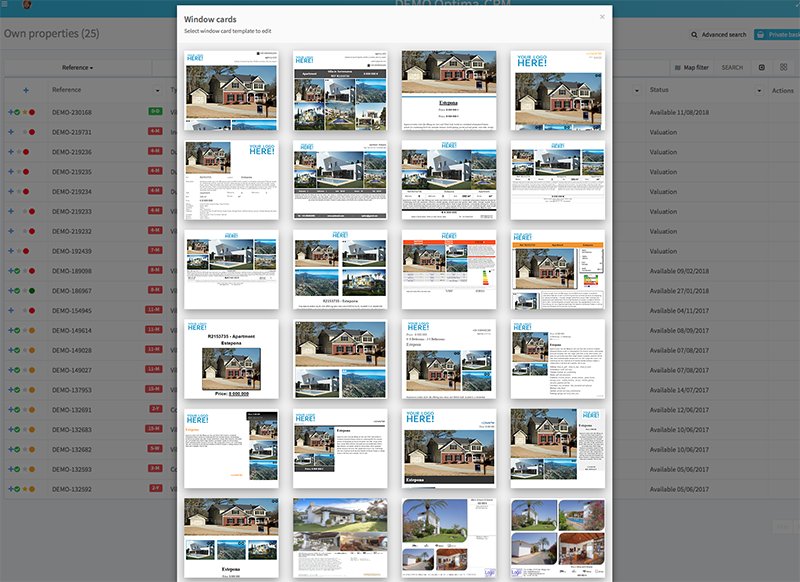 building styles, document types, meeting types, client sources, etc. ), add or remove content languages, etc. Learn more about personalisation during a live demo! Whether you are an existing franchising business or aspire to build out one, whether you operate with a single office or have multiples, physical ones or virtual ones, we got you covered! Flexibility in your current and future environments! 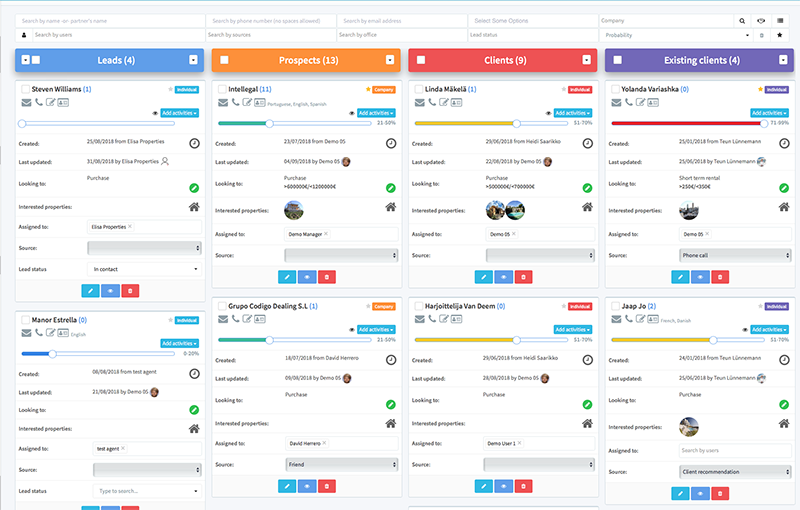 Multiple Listing Systems are plenty, yet few allow you the flexibility and personalisation as the Optima-CRM one. Besides our internal MLS, you can import properties from ANY source and MLS! The only thing you need is an internet connection and you connect with the devices of your preference wherever you are. All functions you need are always with you wherever you go! Yes...there's also an app for your preferred management solution! The app is smartly made for smartphones so smart agents save time and always have with them what they need! Control panels puts the user in full control without the need to navigate. 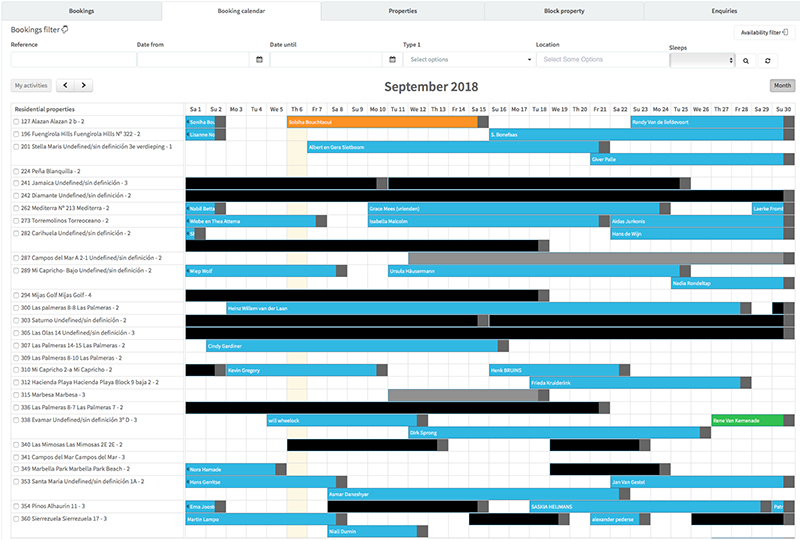 All tools and information in one screen to interact with clients, follow up activities and much more! Drag & drop, colours, graphical indications, etc. are standard! 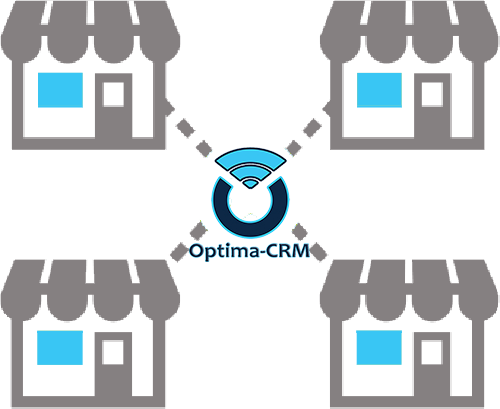 Integrating with the instrumental tools in your environment, make Optima-CRM a true central solution for the management of (all your) business. 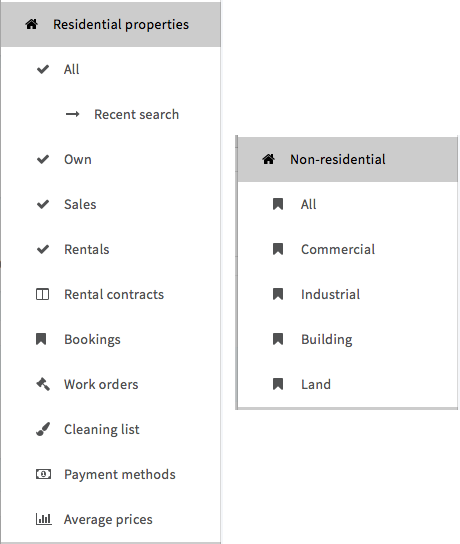 Google Maps: all addresses managed in CRM + drawing on maps to define profiles of clients (areas of interest), search properties, assign areas to listing agents, etc. There are many other integrations made already or being built every day. 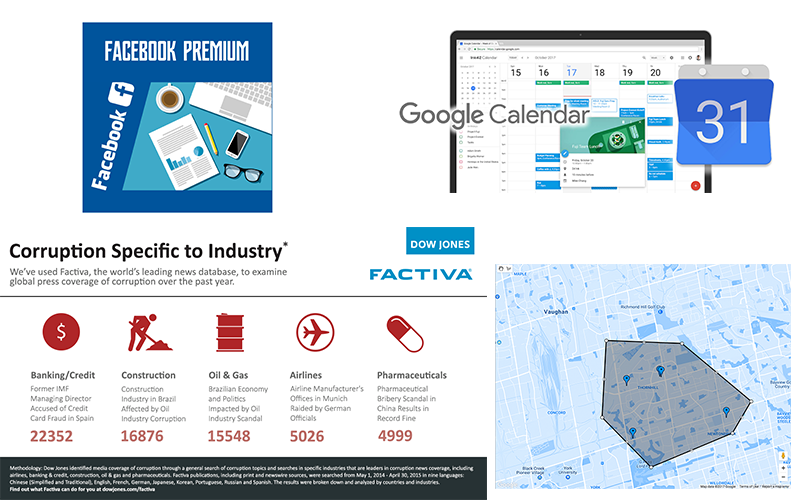 To benefit even more from the strongest Real Estate CRM, we built various extensions to enable businesses to venture out in very specific areas of commercialisation. YoVendo: the "Online Agent" solution to expand property capturing reaching an untapped into market of 40% of vendors who are not willing to contract with a traditional agency to represent them in the sale of their property. Consult with us for further details if these topics are of interest to you! We take data security very serious. Here are just some measures taken to safeguard your most precious assets. Furthermore we handle all the legal aspects to protect data and reflect this clearly in the user licenses contract. We offer the most flexible support possible, day after day, where we have a multi-cultural and multi-lingual team attending our clients. Ask for more information about any of our services and how our all-in-one solutions can work best for you.